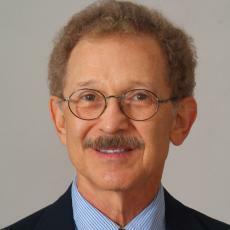 Dr. E. Ronald Finger was born in Marion, South Carolina. His father was a general surgeon and following the Second World War built his own hospital, which enabled Dr. Finger to begin assisting surgery at age 14. He is a graduate of the Medical University of South Carolina, did his internship at Emory University in Atlanta, Georgia and four years of general surgery residency at the University of South Florida in Tampa, Florida. He then entered the U.S. Air Force, at which time he completed his plastic and reconstructive surgery residency at the height of the Vietnam conflict, which yielded vast experience towards some of the techniques utilized today. Dr. Finger began practicing plastic and reconstructive surgery in Savannah in 1973 and shortly thereafter built the first outpatient plastic surgery operative center in Georgia. Our surgical facility is accredited by AAAASF and licensed as an Ambulatory Surgery Center by the State of Georgia.